At David Clulow, we are experts in guiding you to the right pair of frames to suit your style. With the widest selection of brands on offer, you can rest assured that you will find your perfect pair. We can offer advice on how to choose the right frames to suit your features and keep up with the latest trends. Take a look at our In The Press page for a fun look at our favourite celebrities and their latest choice of eyewear. 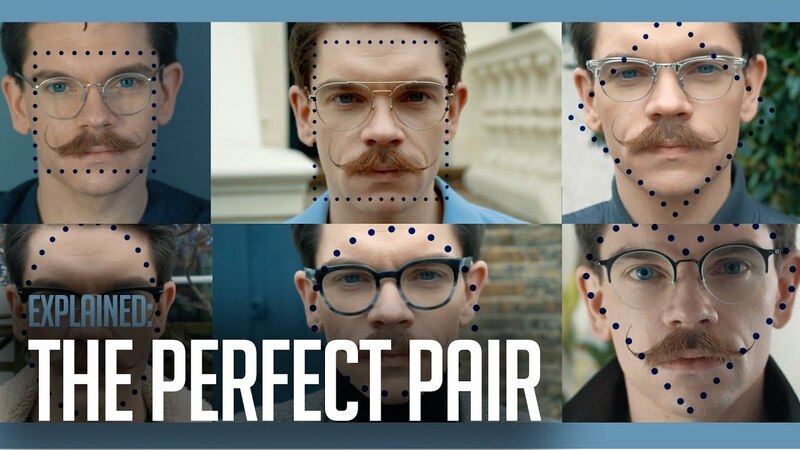 Or view our video featuring fashion bloggers and designers talking about choosing the right pair of glasses by clicking here. Whether you are new to wearing glasses or simply fancy a different look, knowing which frames to choose and what the latest trends are can be a daunting prospect. Fortunately, at David Clulow we are experts in this field and can therefore confidently guide you towards making the right choice for you and your lifestyle. To find out more about our collections, visit your local David Clulow store where you can view the latest styles from a wide selection of brands. Our friendly store staff are on hand if you need any guidance or advice. Choosing the right frames Choosing glasses should be a fun experience because they can really reflect your personality and can help you achieve a particular look. However, knowing what frames suit you best can be tricky which is why we have put together this helpful guide. If you need varifocals you will require a slightly larger lens. If you have a very high prescription, some metal frames may not be suitable. Therefore look for acetates or rimless frames. Get the optician to check the fit of the frame. If you want an oversized style, check that it is designed like this and not just too big for your face! similarly, if they are too wide for your face there may be some distortion of vision when you have your prescription fitted. Check that they fit on your bridge properly. Acetate frames cannot be adjusted on the nose so if you are finding them uncomfortable, try a metal or rimless option with adjustable nose pads. We also have Asian fit frames in selected stores, please ask in-store for further details. Ask for a second opinion! It can be reassuring to get a second opinion so speak to the optical assistants in the store. It’s in their interest for you to leave happy so will be more than happy to give you their opinion and advice. Why not bring along a friend or partner? It’s always helpful to have a second opinion from someone you trust. Take your time! If you need to, go home and think about it. The chances are you will be wearing your frames for at least a year so you need to feel like you’ve made the right choice. There are generally four main types of face shape – oval, square, round and rectangular. To identify which shape face you have, tie your hair back so you can see your face properly and look at the line from your temple to your jaw – is it very straight or soft and sloping? If it is straight then you are most likely to have one of the more angular face shapes (square or rectangle). If it is soft and sloping then you are one of the softer face shapes (oval or rectangle). A round face has soft features. If you have a round face it is best to avoid circular frames or styles that are narrow, as they will only emphasise the roundness of your face. Instead look for styles that are more angular such as square or rectangular frames. This is the face shape that is likely to suit the greatest variety of shapes so you can really take your time to enjoy trying on a broad selection and seeing which work for you. In general, you look best in more angular frames but a lot of styles suit so you can be adventurous with shapes and sizes! If you have a squared jaw look for frames with slightly curved edges rather than straight lines. This should soften the overall look, and stop the frames looking too severe. The rectangular face is longer than the square shaped face. Go for a softer frame to soften the features. Decorated and contrasting temples help as they draw attention to the side of the face, which gives the illusion of width and detracts from the length. Most people fall into one of two colour groups – those with a cool colouring (blue based) and those with a warm colouring (yellow based). As a general rule, people with a warm colouring can get away with wearing stronger, bolder colours and those with a cool colouring tend to look better in paler, more pastel colours. If you are very pale skinned, black or silver frames can sometimes make you look a bit washed out. If you have your heart set on a dark colour try dark tortoiseshell instead – it’s a very subtle difference but can have a big effect in adding warmth to your skin. Similarly, a gold tone will be warmer than gunmetal or silver. The darker your skin tone the more you can experiment with colour and, although it’s natural to look for the classic black or tortoiseshell, glasses are now available in the full colour spectrum and can be surprisingly flattering, especially greens and reds.